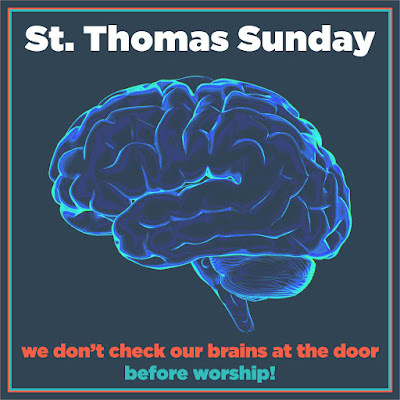 On the first Sunday after Easter we remember doubting or unbelieving Thomas. According to the gospel of John; When the resurrected Jesus met with his disciples on the third day after crucifixion, Thomas was not with them. When they told him the great news, he did not believe, and wanted to make sure for himself. A week later, the first Sunday after Easter, he was given that opportunity and finally he believed. This is how Thomas got labeled as doubting or unbelieving. It was an unfortunate story with tragic consequences throughout the Christian history. Firstly) It is almost certain, that the story of unbelieving Thomas got its final form as a part of a score setting between two streams (or schools) of early Christianity. One of those early streams was associated with John, and Thomas was the figurehead of another. In the Bible we have the Gospel of John, the Apocalypse of John and three letters of John while writings associated with Thomas were censored, and many of them suppressed for millennia. Labeling and libeling Thomas clearly and unfortunately worked. Early Christian streams associated with Thomas disappeared and a substantial part of early Christianity richness and diversity was lost. Secondly) Another unfortunate consequence of this story was disparaging of doubts and healthy skepticism among Christians. The story of doubting Thomas was often used to control and manipulate minds and doubts of lay people. After the emergence of modern science, which is based on skepticism, critical thinking and search for evidence, this biblical story contributed and justified growing antagonism between faith and science. This year, this very weekend, on Earth Day we participate in the Science March to protect our fragile planet from the hands of narrow-minded, uneducated nitwits. It is high time to rehabilitate Thomas, to reintegrate doubt and faith, religion and science. Critical thinking is an integral part of healthy faith. 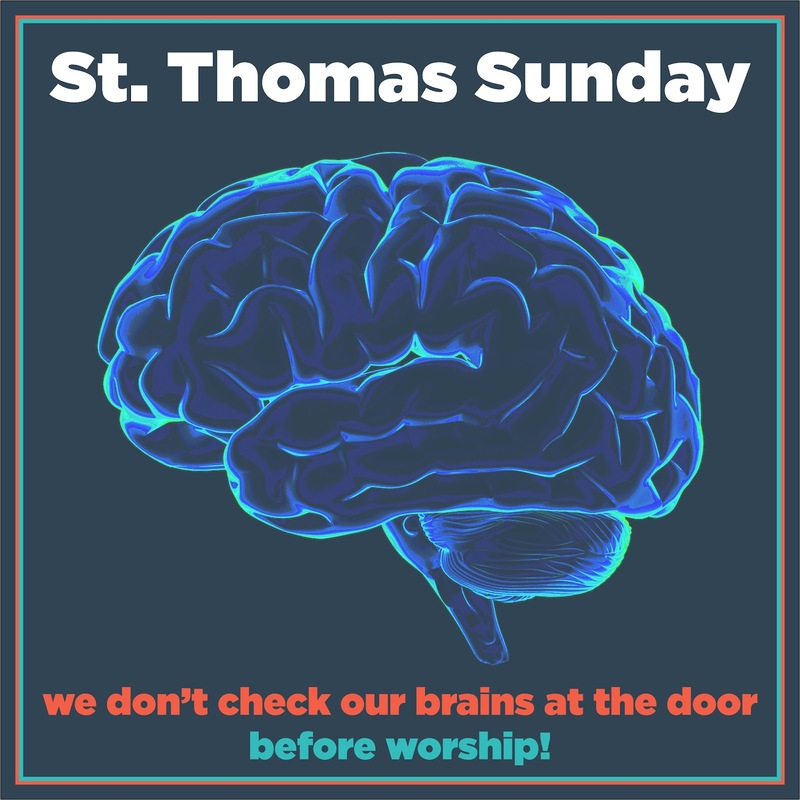 At Rutgers Church we do not check our brains at the door. Have you ever wondered why resurrection and insurrection sound so similar? And why rising from the dead and uprising share the same original word root? Interestingly, this is not peculiar only to English usage (vocabulary). In Biblical Greek these words also share the same roots. In the Greek language resurrection (αναστασις) is closely bound with revolution (επαναστασις) distinguished only by a preposition επι meaning above. And one word EXEGEIRŌ (εξεγειρω) can be used in the Bible to speak about rising from the dead and in today’s Greek newspaper about uprising. The very essence of language is showing us the disruptive nature of the Easter message. Now you also know why the early Christians were viewed with suspicion and why they were persecuted by authorities. They insisted that the convicted and executed "criminal" was alive among them and showed way towards the just and harmonious future. In the very center of our faith is this inseparable hope, which binds together personal hope in death with personal hope in life and even more radically fuses together personal individual hope with the communal hope for equity and justice. The early Christians knew it, but then the church spent the better part of 2,000 years forgetting it, hiding it, and suppressing this radical hope. If we want to be faithful to Jesus and his resurrection and if we truly want to understand the marvelous message of Easter, we must return to the original roots of words and roots of our hope. We must not separate rising and uprising, the resurrection hope from the insurrection hope. 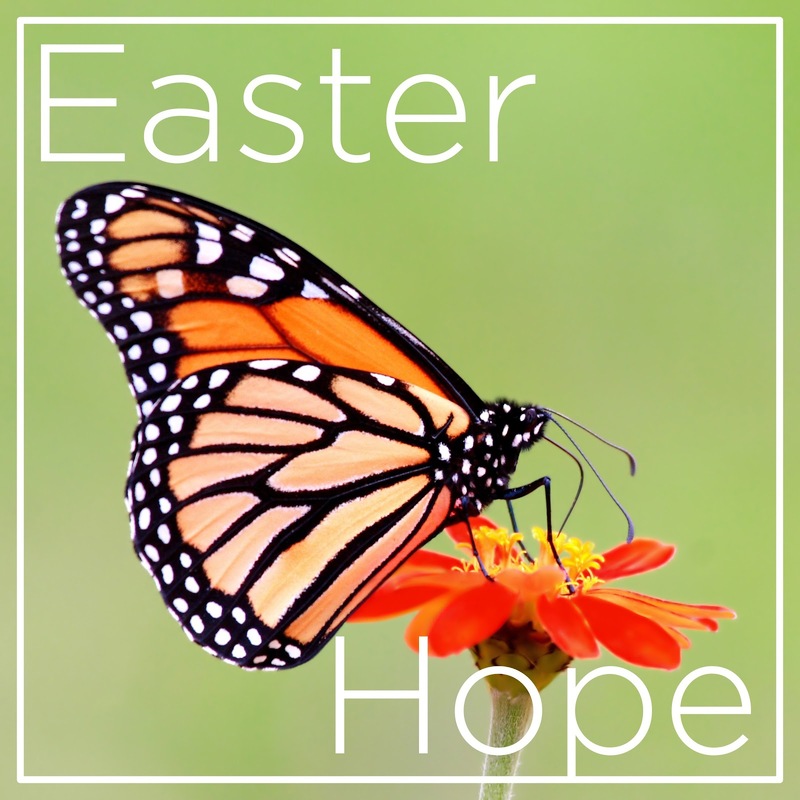 This Easter Sunday we will take a butterfly, this beautiful post-biblical metaphor of resurrection, and apply it to our search for personal resurrection hope which is inseparable from radical communal hope of equity and justice. A poster from the demonstration on the Central Park West. Would you know how to organize an illegal demonstration? Well, you can learn from Jesus! His Palm Sunday entry to Jerusalem has all the characteristics of a well-organized public protest. Jesus and his disciples lived under what we would call these days a police state and so the preparations for their protest were made quietly and under the radar of authorities. We are told, for instance, that they used prearranged secret dialogue while picking up the donkey making sure that even the messengers did not know the full plan so that no one could spill the beans. All was done to minimize the danger of authorities disrupting the event before it even started. Jesus and his disciples were brave but not stupid, it is as if they followed modern guidelines for grassroots organizing under adverse circumstances. I know this strategy first hand from the time of growing up under a totalitarian regime. With good planning a main city square could look at one moment like it looks at any other day and just a minute or so later it can be filled with protestors who emerged from stores, cafes and morphed from what looked like regular pedestrians. Improvised banners, signs and protest props emerge from nowhere, slogans are adopted and quickly perfected before authorities can get their acts together. You see - flash mobs existed long before social media and I can attest that they are an exhilarating experience. Jesus’ entry to Jerusalem is one such special flash protest with a powerful message allowing people to participate and dedicate themselves to the vision of the Kingdom of God, the kingdom of justice, freedom and peace. Come this Palm Sunday to join Jesus’ flash mob shouting Hosanna! (Which can be translated - Freedom now! ).